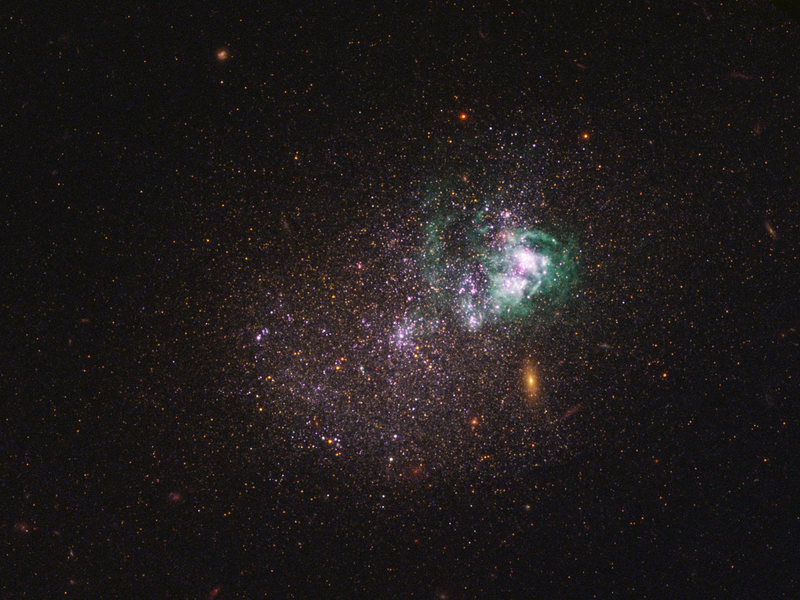 UGCA 281 is a blue compact dwarf galaxy located in the constellation of Canes Venatici. Within it, two giant star clusters appear brilliant white and are swaddled by greenish hydrogen gas clouds. These clusters are responsible for most of the recent star formation in UGCA 281; the rest of the galaxy is comprised of older stars and appears redder in color. The reddish objects in the background are background galaxies that appear through the diffuse dwarf galaxy.